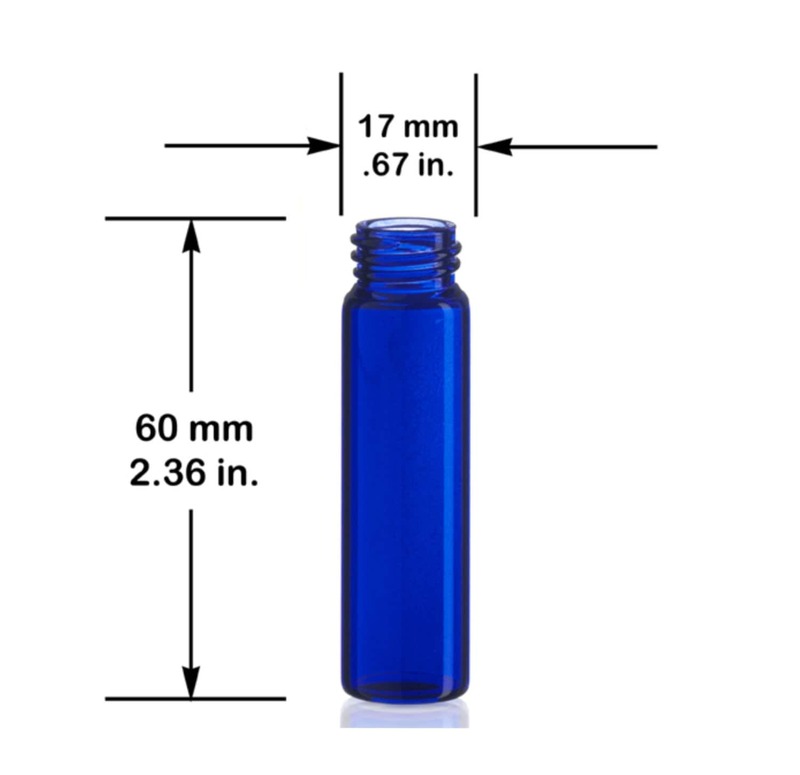 The MagnaKoys® Cobalt Blue glass screw thread vials include Caps with liner. 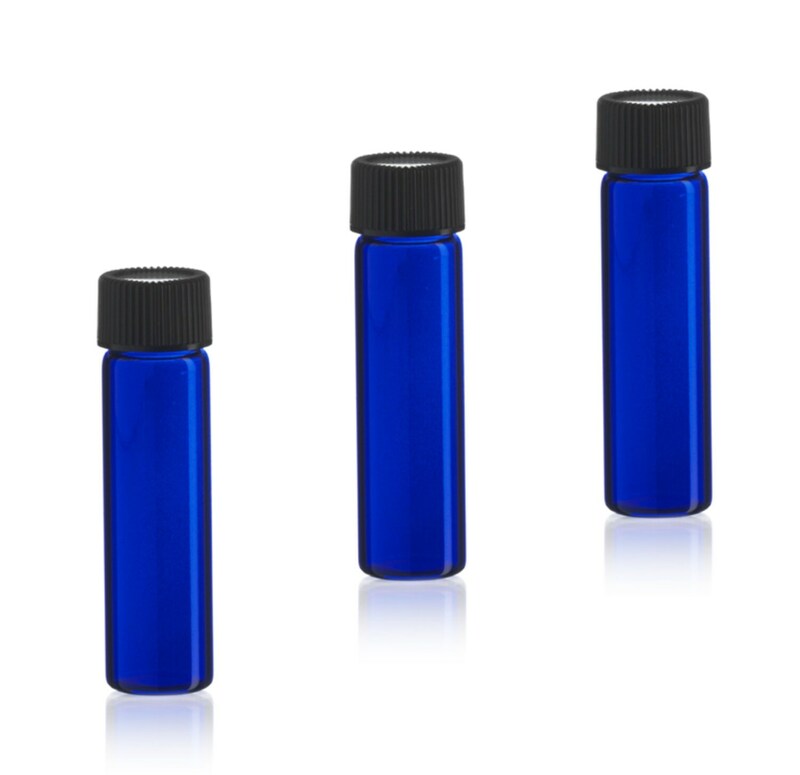 These Cobalt Blue glass dropper vials are great for dispensing smaller amounts of product and could be ideal for a variety of applications. Available in 1 dram also. These were good quality and arrived fast. They were a much darker blue than pictured.